Bass drum. High hat. A primal, hollow beat in triple succession. The sequence repeats, increasingly accentuated with quick rim shot bursts and precision hits to the tom. Then, stage set, the sax leaps in. A bright Caribbean calypso melody, its refrain only twelve notes long. Its vibrancy and simplicity give it an instantaneous appealfitting, given the song's roots in a nursery rhyme native to the Virgin Islands. 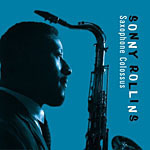 This, of course, is the familiar beginning of the Saxophone Colossus recording of "St. Thomas," Sonny Rollins' signature tune and, along with Miles Davis' "So What," one of the most immediately recognizable compositionseven among those who wouldn't call themselves fans of the genrein the entire repertoire of instrumental jazz. Saxophone Colossus was cut just four days before the death of Clifford Brown, in whose outfit Rollins, following stints with Davis, Bud Powell, and Thelonious Monk, had been playing until that point, and whose co-leader, Max Roach, is the one delivering that memorable drum intro on "St. Thomas" (George Morrow, the Brown/Roach bassist, will get a mention in a moment). 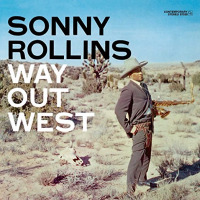 Albeit Rollins' third disc at the helm, it was the one that firmly established the twenty-five year-old as a leader in his own right. It is, simply put, a landmark album for Rollins personally, for the Prestige label on which it originally appeared, and for jazz as a whole. Its renditions of "Moritat," the cheeky street ballad of "Mack the Knife" from Kurt Weill's Threepenny Opera, and "Blue 7," a sonically adventurous eleven-minute blues chart, are as complex as they are catchy. In what appears to be a recurring theme with the Essential Jazz Classics label, this particular release of Saxophone Colossus is a peculiar thing. It isn't, insofar as it's possible to tell, remastered or re-jigged in any discernible way. Ira Gitler's original liner notes gush about what a precious album this is, but "Blue 7," one of its standout tracks, is misnamed "Blue" on all the track listings; the designers didn't quite grasp the sanctity of what they were dealing with. Although it features different cover art from the original, the album is billed only Saxophone Colossus, and yet it also includes Work Time, recorded in December of 1955, in its entirely. EJC would therefore seem to be in desperate need of both a unifying vision and better quality control. 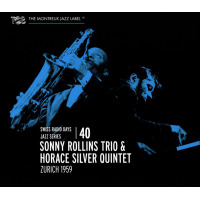 Work Time, a more straight-ahead hard bop effort than Saxophone Colossus (four of its five tracks are standards, or at the very least non-Rollins charts), comes after its chronological successor here. When the last cymbal splash of "Blue 7" falls away, we're immediately presented with studio banter and Rollins' headlong charge into Irving Berlin's "There's No Business Like Show Business." 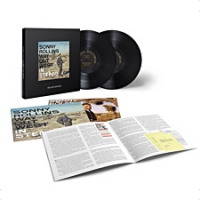 It's an album that could be summed up as fun; even the sole ballad, "There Are Such Things," is executed with a sly grin, and throughout Morrow and Roach seem to delight in the freewheeling, upbeat style very close to that of their primary quartet. 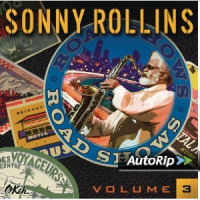 Track Listing: Saint Thomas; You Don't Know What Love Is; Strode Rode; Moritat; Blue; There's No Business Like Show Business; Paradox; Raincheck; There Are Such Things; It's All Right with Me. 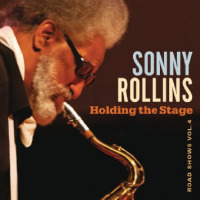 Personnel: Sonny Rollins: tenor saxophone; Max Roach: drums; Tommy Flanagan: piano; Ray Bryant: piano; Doug Watkins: bass (6-10); George Morrow: bass (1-5).